Q. How do I sign up for dog walking or pet sitting service? A. You can call Sharon at Pet Concierge Tampa Bay at 727-430-0379 and she will be happy to discuss your pet care needs. Sharon will set up a complimentary meeting between you and one of our professional pet sitters or dog walkers. This meeting will help familiarize the sitter with your pets and home and give you an opportunity to go over the pet's routine and special dietary and exercise needs. A. Tampa Bay sitters are insured and bonded through Pet Concierge Tampa Bay! Q. When should I give a key to my sitter? A. Most clients give a key to the sitter at the initial interview. If you are not able to do so at the time of the interview then we charge a $15 key pick-up fee. We can keep the key on file if you travel often or we can leave it in your home at the end of the sit, whichever you prefer. If you decide to have the sitter leave the key in your home, please arrange for a neighbor or someone nearby to have a spare key in the event that you are delayed. Q. Should I call or email Pet Concierge Tampa Bay? What's the best way to reach you to talk about my pet care needs? A. Calling us is always the best way to contact Pet Concierge Tampa Bay. We are happy to respond to emails, just be aware that we don't check email as often as we check our voicemail. If you need to speak to us right away please do call us and we will be happy to talk to you about how we can help with your pet care needs. Q. What kind of information do you need from me if I get the Pet Concierge Tampa Bay voicemail and how often do you check your messages? A. We check our messages often throughout the day so if you get the voicemail please know we will call you back soon! Please leave a detailed message with your dates of travel or which days you are interested in having weekly dog walking service. Please also leave the town in which you are located and any other important pet information we might need to better assist you when we call you back. Also if you have a cell phone or number you can be reached at directly this will better help us contact you quickly. We do return ALL of our calls even if we are not able to help you with your specific request. We are happy to refer you to another pet sitting service that we trust and highly recommend if we are not able to help you. Q. How is payment handled? A. Different services are billed differently. Daily dog walks are billed monthly, in advance. Cat and dog vacation visits and overnight sitting reservations are billed after you have met your sitter. If you have previously met your sitter then a bill is mailed at the time you make your reservation for that sitter. You can either mail us a check when you get your bill or you can call us with your credit card information. We accept MasterCard, Visa and American Express & PayPal. Q. What is your cancellation policy on sits? A. 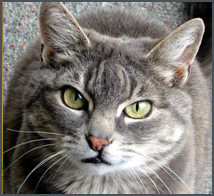 We have a 7-day cancellation policy for overnight pet sitting and vacation visits. Please call us 7 days before your departure if you need to cancel in order to get a full refund. Cancellations made less than 7 days before your departure date are subject to a 50% cancellation fee. Cancellations made less than 3 days before your departure date are subject to a 100% cancellation fee unless we are able to fill the spot that you had previously booked with your sitter. Q. Is the information I give to my sitter confidential? A. Yes. We at Pet Concierge Tampa Bay are committed to keeping all information we receive from our clients and staff confidential and will not disclose any of your personal information including your mailing address. We will only use your information as a means to take good care of your pets and home while you are away. Q. Will I get the same sitter each time I travel? A. We prefer to have the continuity of the same sitter with the same pets and will do everything we can to make that happen for additional trip requests. If the sitter is not available then a substitute sitter will be available. Sharon will set up a meeting to have you and your pets get to know the new sitter. Q. Can I hire my sitter directly without calling Pet Concierge Tampa Bay first? A. Please do not place our staff in the uncomfortable position of offering them pet sitting or dog walking employment apart from Pet Concierge Tampa Bay. You are sometimes given the private cell phone of our sitters as a means to reach them in an emergency while you are away. We ask that you do not contact them to set up future sits when you return. Our staff is prohibited from soliciting or accepting employment directly from clients and has signed a contract to this effect. Thank you for honoring this policy. Q. Can you administer medication to my animals while I am away? A. Yes. As long as your animals do not pose a threat to the sitter, we are happy to administer medication to your pet. Q. I'm leaving in two days and don't have time to meet one of your sitters. Will you take care of my pets without my meeting the sitter? A. I’m sorry but unless we have already met you and your pets we will not take care of them without a prior meeting. This is for both your safety and the safety of the sitter who will be coming in your home while you are away. We are sometimes available for last-minute sits and if we have space available and time to set up an initial interview we will be happy to help you. Q. Do you board dogs in your home? A. We do not board dogs in our home. We do provide daily visits for dogs (either 2 or 3 visits a day) or we can provide an overnight sitter to stay in your home with your dog(s). We are happy to recommend boarding facilities that we know and trust so if boarding is your preference then please ask us for a recommendation. We are happy to assist you in finding the right situation for your dog while you are away. Q. I have never used an overnight pet sitter in my home. Can you tell me a little bit about this service? A. How it works: Sharon will match you with the sitter she feels is best for you and your pets’ needs. If you work full-time she will provide a sitter who will be arriving after work and departing again in the morning for work, just like you. If your pets need a sitter who will be around a lot, Sharon will set up a meeting to have you get to know a sitter who has a flexible schedule. Our fees vary upon the amount of animals involved and the time you would like your sitter to be at the home. Please call us to discuss your needs and dates. All of our sitters have gone through extensive reference and history checks and are committed to providing the best care for your pet and home while you are away as well as leaving your home neat and tidy when you return. Please visit our services & pricing page to get a more in-depth look at what our overnight sitters provide. Q. I need an overnight sitter for a 3-night sit in a month. Can I book a sitter now for that short trip? A. I’m sorry but we only accept reservations for sits that are over a 7-night period that far in advance. If you have a shorter sit (under 7 nights) we advise you to call Pet Concierge Tampa Bay two weeks before you are scheduled to depart and we can usually provide you with a pet sitter at that point. Thanks for understanding and we will do our best to help when the need arises for a shorter sit. Q. I’m going to Europe for 2 months. Do you provide long-term overnight sitting? A. Yes. We have sitters who specialize in long-term sitting and who are available for overnight sitting in your home for as long as 3 months. We do offer discounts if you will be traveling for an extended period of time. Q. What areas do you cover for dog walking and pet sitting? A. We cover all of Pinellas and Hillsborough Counties and the Gulf Beaches. Q. Do you have a minimum number of days that I would need in order to sign up for weekly dog walking service? A. We provide dog walking service 7 day a week. We do require a minimum of 2 days a week and we ask that these be set days so that your dog and the walker can have a regular weekly schedule. At this time we do not provide walks for clients that need a few days here and there. Q. I am interested in scheduling small-group dog walking for my dog. How many dogs do your dog walkers take at one time? A. Our walkers take a maximum of 3 dogs at one time. 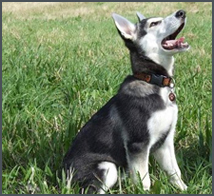 We match up dogs that live in the same area that have a similar temperament and energy level. Dogs are pack animals and thrive on the interaction with other dogs, especially if your dog is an “only child.” By having your dog walked in a group a few times a week you are giving your dog the gift of a sibling a few times a week without the additional dog in your home! We also do individual walks for dogs that cannot be around other dogs and there is an additional fee for individual walks. Please call us to discuss your dogs specific dog walking needs. Q. Do your dog walkers take dogs off-leash on walks? A. If your dog is able to respond to voice-command and we have your permission we do allow the dog to run free on designated “dog approved” fire trails. If you agree that you want your dog to be off-leash we will have you sign a contract stating that we are not responsible for your dog should he or she run off. Dogs get the maximum amount of exercise when they are allowed to run free and we do encourage this if your dog is responsive to voice-commands. Q. What areas of the Bay Area do you cover? A. We are based in Pinellas County and the majority of our clients are in Pinellas and Hillsborough Counties. We are sometimes able to provide overnight house-sitting and pet sitting for other counties depending upon the individual situation. Q. May I give my sitter or dog walker a gratuity? A. Absolutely. You can give gratuities directly to the sitter or you can mail them to Pet Concierge Tampa Bay. 100% of gratuities go directly to the Pet Concierge Tampa Bay sitter. A. We do charge a small additional fee over the major national holidays. We will let you know this at the time you book service. This is a way for us to reward the sitters who are giving of their holiday time to work with Pet Concierge Tampa Bay. Q. What kind of animals does Pet Concierge Tampa Bay Pet care for? A. Even though we brag about being Professional Dog Walkers & Sitters, we also provide pet care for animals that make the following sounds: "meow", "squeak", "baa", "squawk", "oink" and "neigh" (among others). 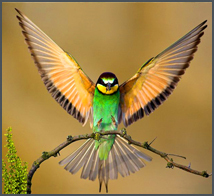 If your animal does not make any of the sounds above please let us know what sound your animal does make and we'll see if we can help you. If anyone can tell us what sound a fish makes we'd be delighted to hear from you. Q. My dog/cat/bird/fish just did something so cute. Can I call you to talk about it? Q. How can I get a job working with animals at Pet Concierge Tampa Bay? A. 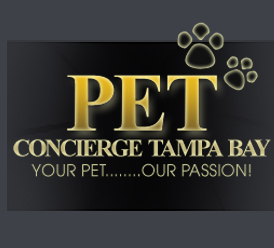 If you are interested in working with Pet Concierge Tampa Bay please visit our employment page for more information about which jobs are currently available and what is required. If you are an existing client of ours and considering a job working with animals we'd be especially delighted to talk with you. Many of our wonderful staff members today were initially Pet Concierge Tampa Bay clients who are now thrilled to have a part-time job working with animals (and we are thrilled to have them). We have a top-notch staff and delight in working with those who have the same high quality standards that have made Pet Concierge Tampa Bay! one of the most well-respected pet sitting companies in Pinellas and Hillsborough Counties.